Squadron 188 - The Logbook: May 2014 - Cadets Get to Fly Gliders at Byron Airport! May 2014 - Cadets Get to Fly Gliders at Byron Airport! 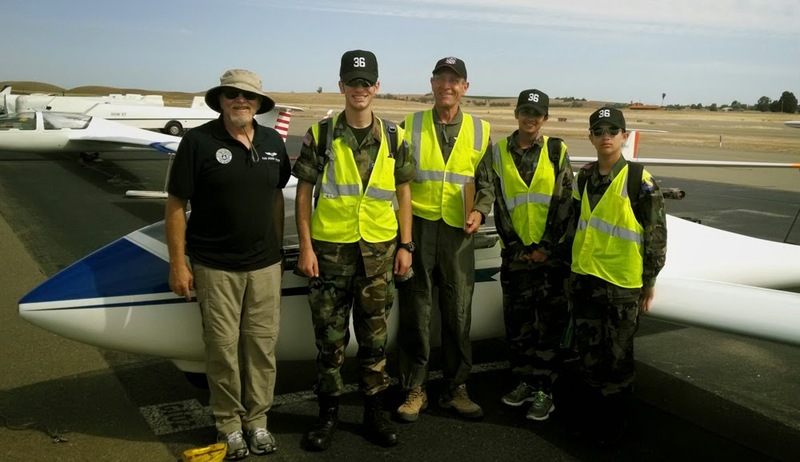 On the 18th of May, several members of our squadron (and others) made their way to Byron airport to help with providing cadet glider O-rides. 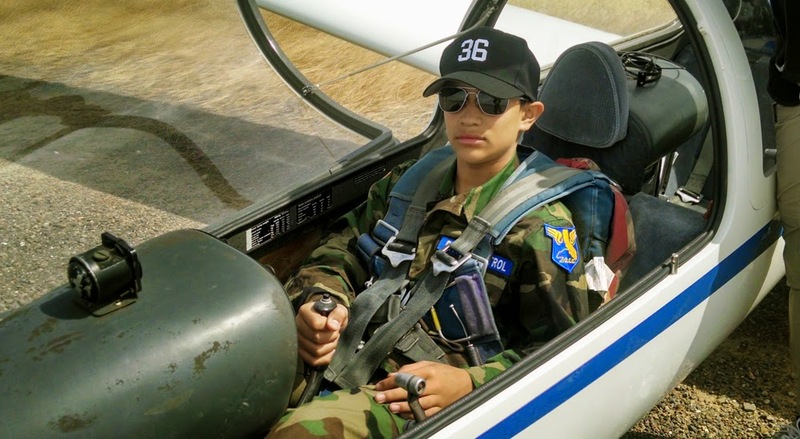 Three cadets from Squadron 36, Cadets O'Neil, Mittal and Estrada, were lucky enough to get glider rides that day. 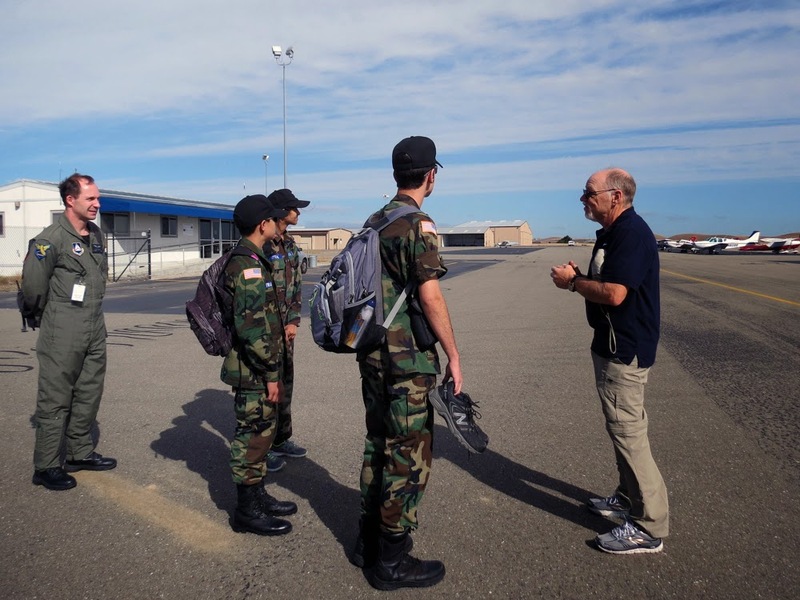 In their CAP career, cadets are entitled to 5 power and 5 glider orientation rides (“O-rides”). Many of them are interested in aviation. 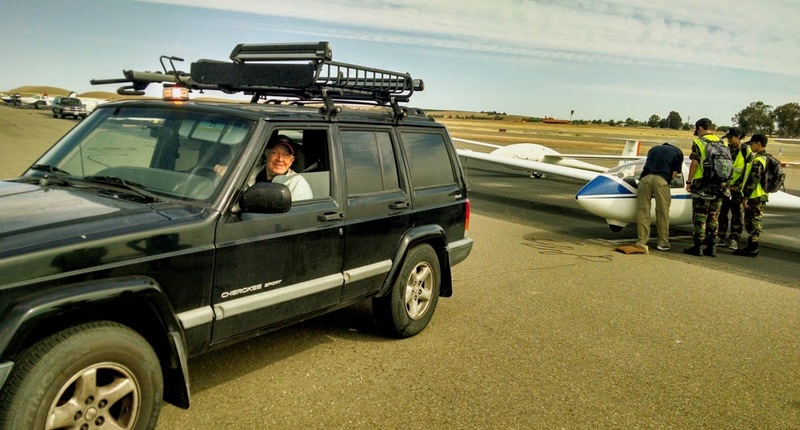 Some have been up in a Cessna, but an O-ride is usually their first experience with a glider. 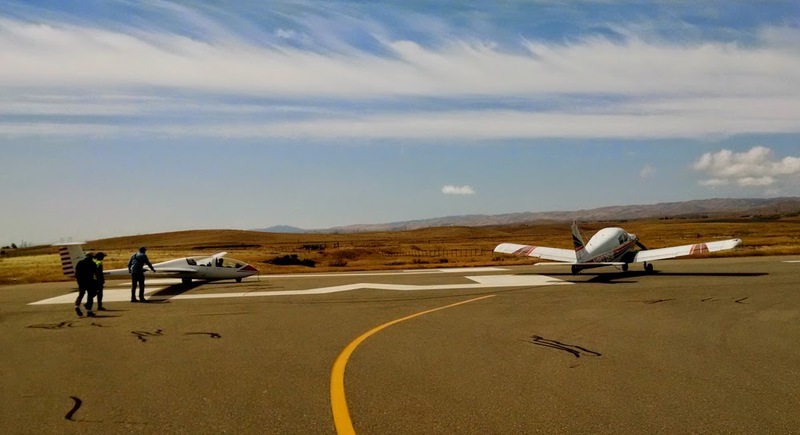 Recently, one cadet joined the Northern California Soaring Association (NCSA) after his O-ride and began taking flight lessons - one of the strongest endorsements of the glider program. 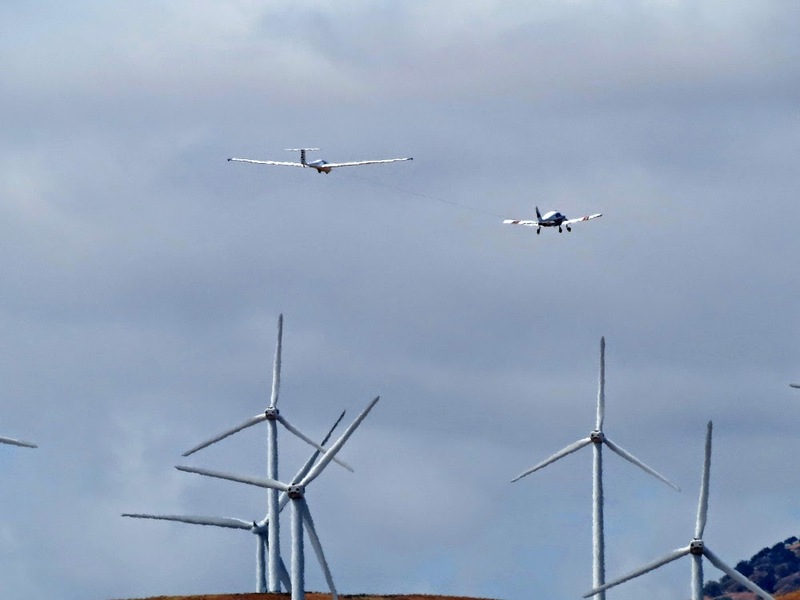 Since many CAP Wings do not own any gliders, there is a somewhat long-standing agreement between the Soaring Society of America (SSA) and CAP. 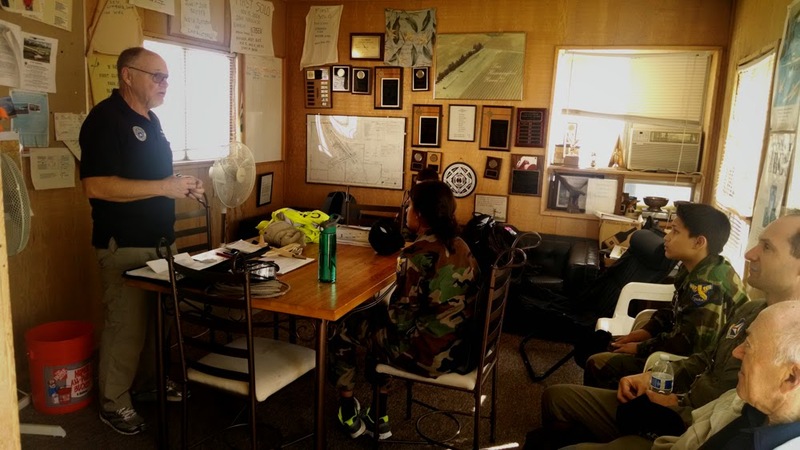 In areas where there is not a CAP-owned corporate glider, CAP uses SSA member clubs to provide the orientation. In our case, NCSA is the nearest SSA club with CAP pilot members, and we are grateful for their generous support of the O-ride program. Lt Col Juan Tinnirello ferried glider and cadets to the runway. 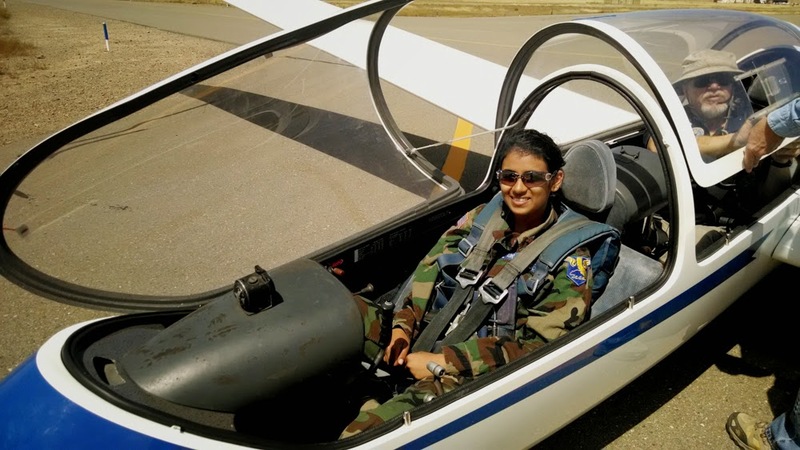 Cadet Mittal is ready to fly!